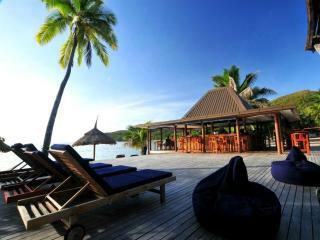 Blue Lagoon Beach Resort is a spectacular accommodation option located in Nacula Bay in the northern Yasawa Islands. A great resort for both couples and families who would love to experience beautiful Fijian culture and a wide range of activities whilst being surrounded by the crystal clear lagoon and stunning scenery that the Yasawa Islands have to offer. Situated in the Yasawa group of islands, Octopus Resort at Likuliku Bay may cater for travellers on a budget but it delivers an island holiday in Paradise! Only 1.5 hours from Nadi, guest have access to incredible diving hot spots and a calm, relaxed and pristine beach. So, don't delay book now and discover this Fijian Island paradise for yourself. Paradise Cove Resort Fiji is located in the beautiful Yasawa Islands group in Fiji. 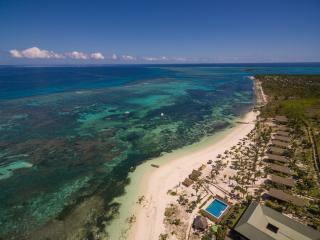 Just a 20 minute plane ride from Nadi Airport will see you relaxing on the shores of this stunning 5 star Fiji resort. Escape to a tropical paradise and do as little or as much as you please, while indulging in local seafood, spa treatments, diving adventures, snorkelling, cocktails by the pool and more. Viwa Island Resort is a remote Fijian Island paradise, located on Viwa Island approximately 70 kilometres north west of Nadi in the beautiful Yasawa Islands Group. This Fijian Resort is surrounded by beautiful white sandy beaches, crystal clear water and spectacular coral and marine life. Perfect for diving, fishing, snorkelling or other water and beach activities. Viwa Island Resort accommodation consists of 11 absolute beachfront bures with large decks, thatched roofs and high ceilings. 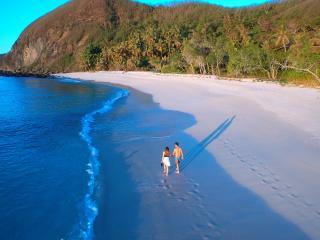 Located on the northern-most tip of the magical Yasawa Island group. A secluded, deluxe resort offering very spacious split-level bures opening onto sundecks off the separate bedroom and living areas. 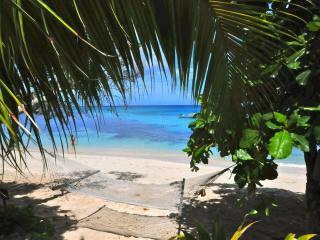 The resort offers great beaches, diving, snorkeling, sailing, fishing, stunning Day Spa, walks and caves to explore. All meals and non-alcoholic beverages included. Yasawa offers a luxurious getaway.